Opinions on the values of these proto's.- BLOOD FOR THE BARON!!! Opinions on the values of these proto's. 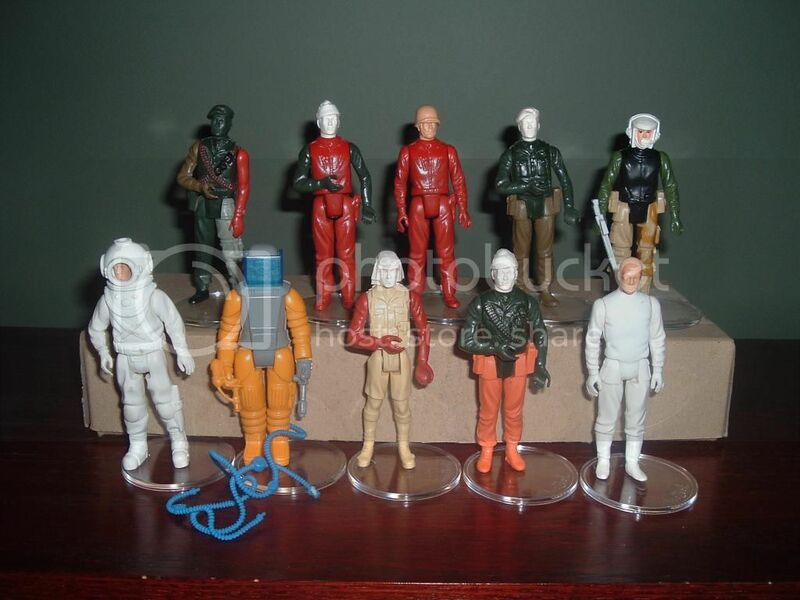 Hi guys, I've been toying with the idea of selling my prototype figures but not sure what they are really worth. The "metaphorical" question is what would you pay for the lot, I would'nt sell them seperate as there is always a few that would be left. I paid quite a bit (too much) in the first place so i'd like to get as much back as possible. Like I said, i'm just getting an idea on what I would get for them. Re: Opinions on the values of these proto's. Peanuts, I trade you my prized Muton for the lot. I think the prototype market is very niche in that they're often over valued by the seller. Although most collectors would like a prototype or two in their collection there are not many willing to pay the inflated asking price. I wouldn't pay more than £10 per figure, however, they're not my cup of tea. 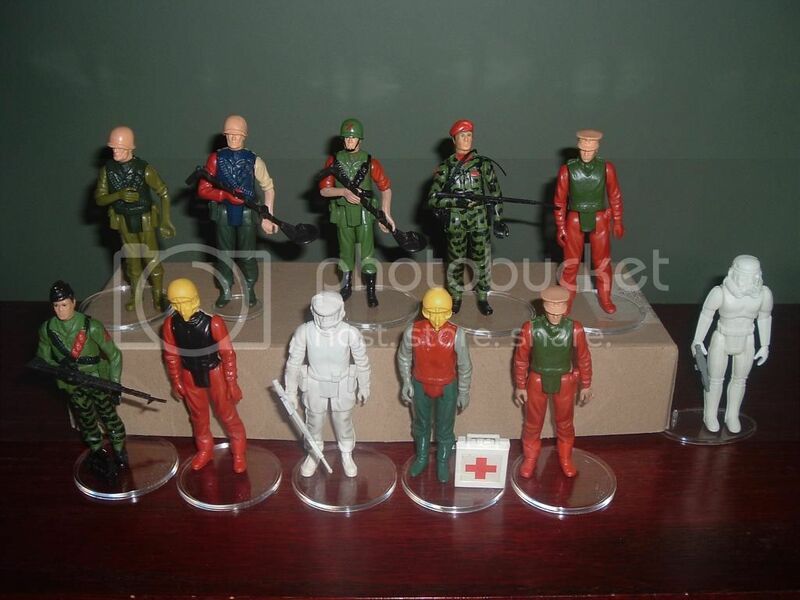 Some of these look like the ones Paul snagged from that eBay seller who used to paint for Palitoy. Paul made the seller an offer to end the auction early. I had the prototype Z-Force Jeep at one point. £300 for the lot would be my appraisal. I'd be inclined to agree with Buddosky and Eddie. I never went for protos myself - I can see the appeal but they just don't float my boat! Limited market, but I'd say about £15 a figure. So about where Eddie is at £300 for the collective? I love them personally, my boat is floating so to speak. Sorry, £315 each... that was a pricey one. Nice little collection...i love protos!